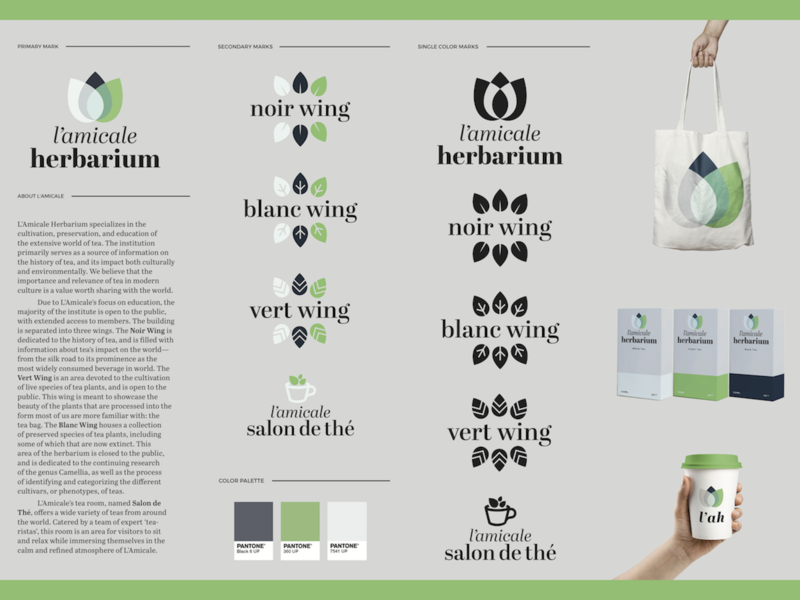 L’Amicale Herbarium is the product of a branding assignment for my sophomore year design class. The project consisted of creating a fictional herbarium, developing both a primary mark and four secondary marks. 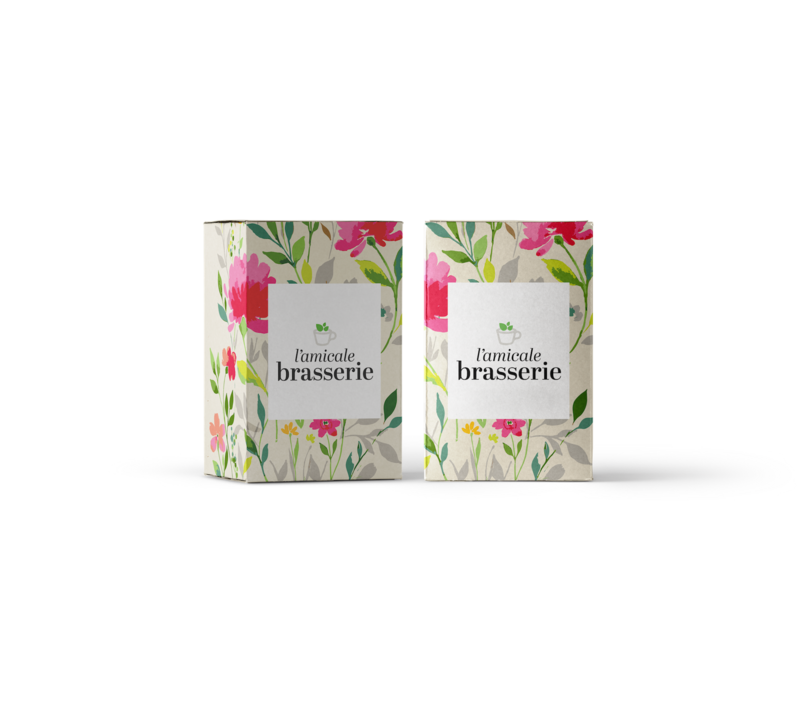 The herbarium was made up of three different wings and a tea room. 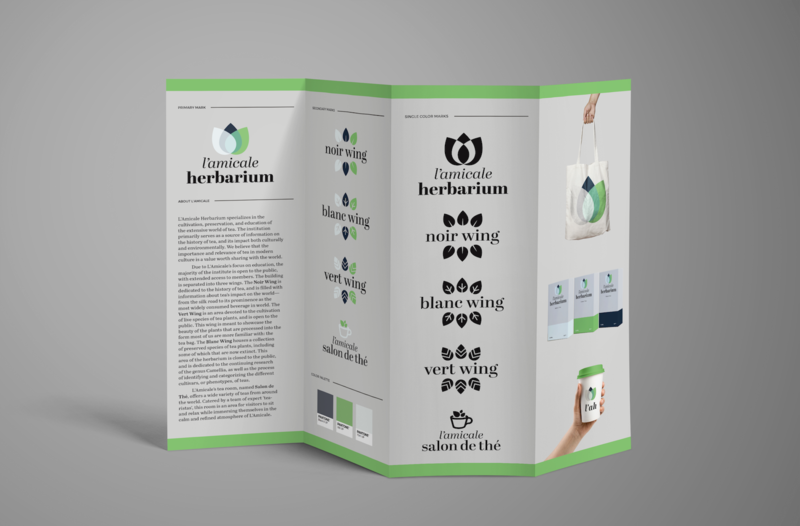 These marks were then presented on a four-fold leaflet containing a short summary of the herbarium, the family of marks, and a selection of product mockups.